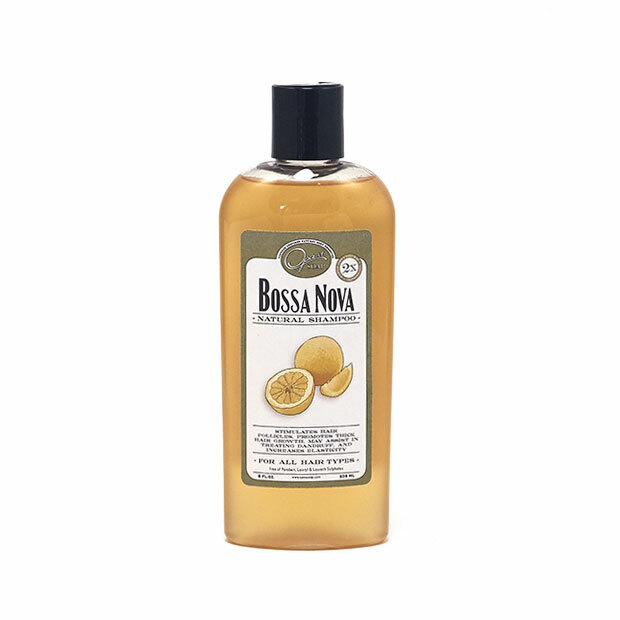 Bossa Nova is a natural every day shampoo for maintaining healthy hair. 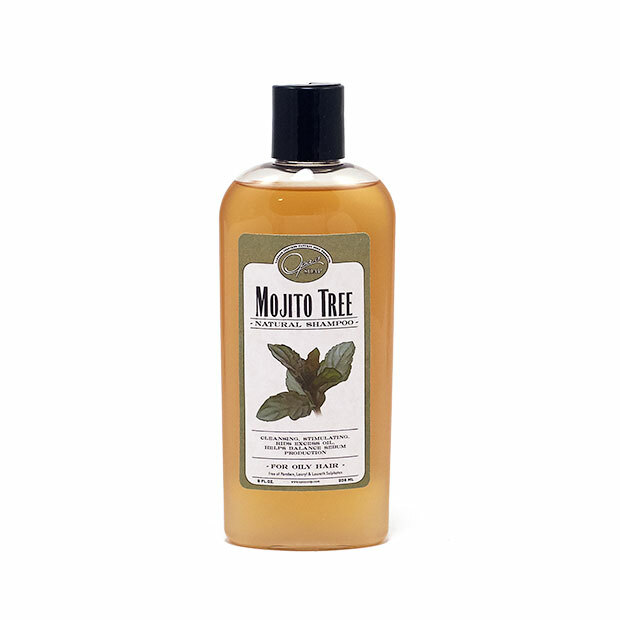 It gently cleanses the scalp and hair and is made with only the best natural ingredients. Rosemary is helping boost hair growth by stimulating follicles and increasing blood circulation to the local area. Rosemary and Grapefruit make a great synergy and are used in this formulation to balance over active sebaceous glands (excess oil) and reduce dandruff. This shampoo is made for daily use and will not dry out the hair, it is slightly moisturizing designed for normal to fine hair. For benefits of increased hair growth, massage a nickel amount of shampoo into wet hair. After about a 2-5 minute scalp massage, wash out shampoo thoroughly followed by the Bossa Nova Conditioner if further protection is needed. All of our shampoos including Bossa Nova may cease excess itching on the scalp, this is due to the organic calendula extract which also calms the skin and increases the hair's flexibility. 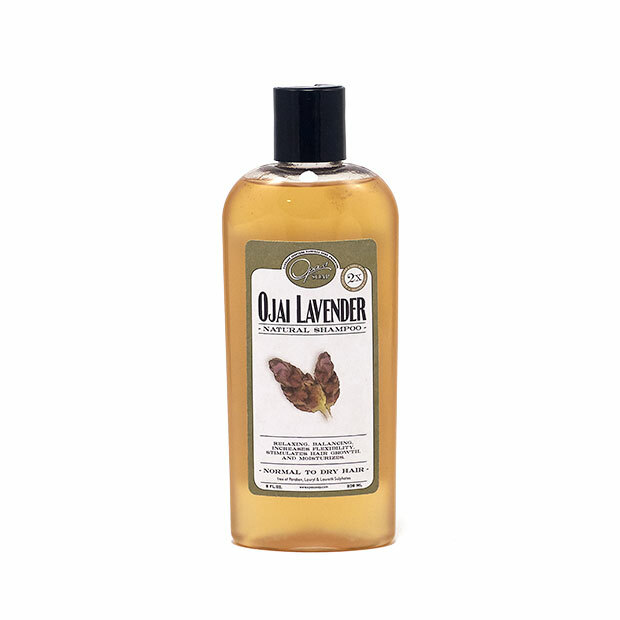 This shampoo also is also nourishing, helps prevent breakage, and keeps hair healthy. I really enjoyed this shampoo. My hair felt clean and was very shiny. I even felt like I had more volume than usual. Like another customer I found out about this shampoo through the website cosmeticsdatabase.com. I was very pleased with the quality of this product. I always search for a great organic natural hair products and I'm glad to find one! Also for my next purchase I'd like to try their other choices of shampoo. They all have good reviews! I love everything about Bossa Nova shampoo and conditioner, the scent, the lather, the way it makes my scalp and hair feel, and the fact that I know I'm not absorbing harmful chemicals through its use. I also appreciate the body soap samples included in my package, definitely going to buy some next order, it smells GREAT! I have now used 3 of the shampoos, most recently the Bossa Nova. I like them all but I particularly like the Bossa Nova. I will continue to use all of them though and perhaps vary them. My hair looks great! Love it!! Good size for entire family!! I know this shampoo from EWG. I was impressed by the score and I thought I 'd try it. I am very pleased and continue to buy it. All of the family uses it and the results are excellent. Thank you Opas. Great shampoo. I found out about this natural shampoo at the cosmeticsdatabase.com website and decided to give it a try. I've been using it for about 2 weeks now and really pleased with results. It makes my hair soft and manageable. This shampoo has a very nice silky consistence, and make a very nice lather. And the best thing is that i know that this shampoo does not have any harmful chemicals in it. Great lathering. I came to Opas soap because of the great scores on the Environmental Working Group's cosmetics database. I am SO pleased with this shampoo that I am ordering more of the product lines. 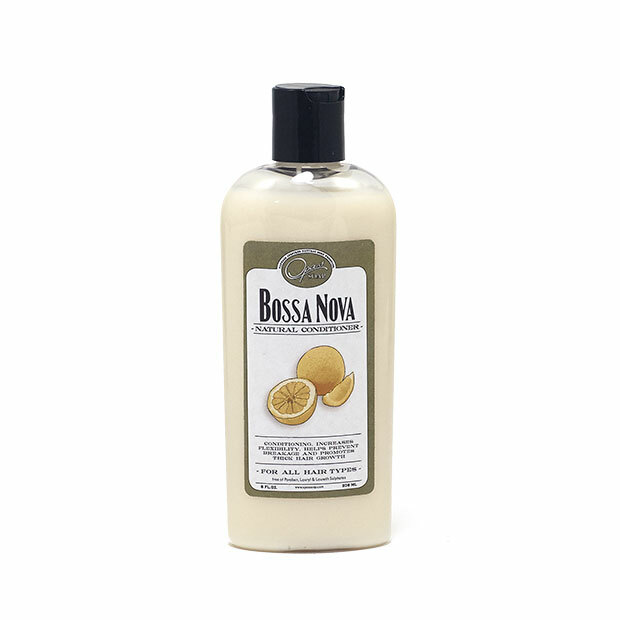 Bossa Nova gives a great lather, my hair is clean and not greasy. I am sold on this shampoo. I have to say I really do like the shampoo a lot and I waited a long time to write this to make sure I will still like the shampoo after a few weeks ! The only thing I am not crazy about is the smell, but this is obviously very personal. I just think that the tags it is given, like fruity etc are not right at all for the shampoo. But it leaves my hair nice and soft and just feels really good for a nontoxic shampoo ! Thanks ! I had never tried natural shampoo before but wanted to give it a shot during pregnancy. I found Opas through the Environmental Working Group's cosmetics database online and was impressed with your zero rating. (I also appreciate that you post EWG ratings on your webiste for each product -- saves me the extra work!) I had read that natural products basically "don't work" -- that it's like not even shampooing anymore, and the scalp is incredibly greasy until it adjusts. However, that has not been my experience with your Bosa Nova shampoo. I'm very pleased with it. My hair is as clean as ever. I even skip two days in between shampooing sometimes. 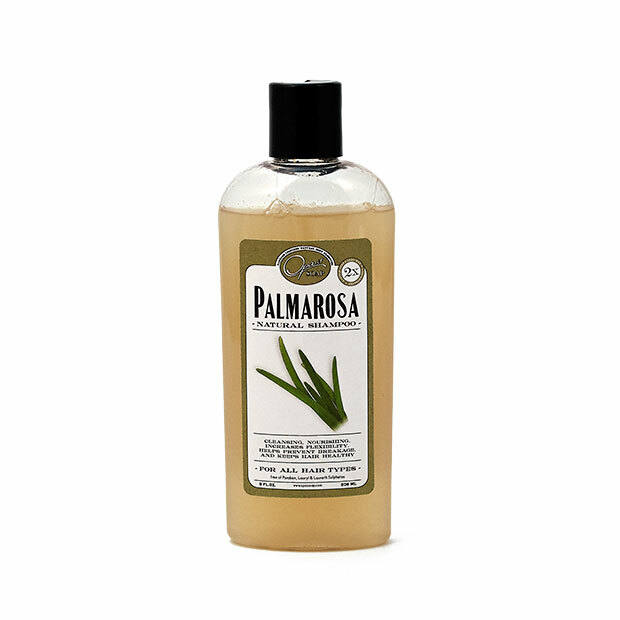 Same goes for the Palmarosa condition - it's a very nice product and it gets the job done. My only wish is that I could find your products in stores - the shipping costs to Michigan area little discouraging. But since your products are so reasonably priced, they aren't out of my price range, even with shipping. Thanks for providing such a nice product! LOVE IT!! What a difference your shampoo is from that awful shampoo bar!! I have been using the Bossa Nova for about 5 days now and am so very pleased. My hair feels clean and looks shiny and healthy. Should I do an apple cider vinegar rinse weekly with this? And why does your natural shampoo differ so much from the natural shampoo bars? They seem to have a detoxifying period?? Know that I will be buying more as this runs out!! I thank you so much for answering all my emails and helping me out!! I am a truly satisfied customer!! So glad to find something that is healthy for my hair and another plus is that it is affordable too! !